PA calls on international community to intervene to prevent further escalation in Gaza. Hamas: We will defend our people. The Palestinian Authority (PA) on Friday warned against the escalation in the Gaza Strip and called upon the international community to intervene in order to prevent further escalation. 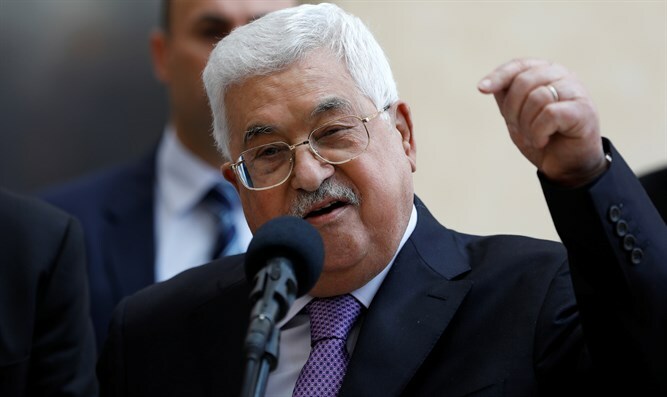 PA chairman Mahmoud Abbas “has begun to hold talks with elements in the region and in the world to contain the escalating crisis," the statement said, according to Yediot Aharonot. Hamas, meanwhile, warned that it will continue to defend the interests of the Palestinian Arab people. "We have the right to defend ourselves. (Our) national duty is to defend our people's interests, and establish the deterrence equation according to which bombardment will be met with bombardment," said the terrorist group, which controls Gaza. IAF jets on Friday evening struck 40 military targets belonging to Hamas in northern and southern Gaza, after a serious incident near the border in which an IDF soldier was killed by terrorist snipers. “If Hamas continues with the rocket attacks, the result will be much more difficult than they think. The responsibility for all the destruction and human life will be on Hamas," Liberman added.